Aslavital history begins in 1960, when Prof. Dr. Ana Aslan started to develop a new product, after the revolutionary Gerovital H3 injectables, which, apart from procaine, also contained Aslavital, an activating and antiatherogenous factor. 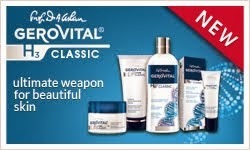 In 1980 the resulted geriatric product - Aslavital, targeting prophylactic and curative forms of predominantly cerebral and cardiovascular aging, was patented very quickly industrial production began. 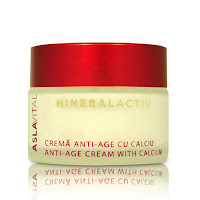 But the first Aslavital cosmetic line had been launched by Farmec 20 years later, in 2001. Farmec researchers incorporated the benefits of the Aslavital therapeutic formula in a cosmetic line which, for the first time, also addressed sensitive complexions. The hypo-allergenic concept was integrated in a cosmetic line of products. In terms of cosmetics, Aslavital represented a range of products based on the exceptional benefits of clay. Renowned as “a living and miraculous soil”, clay is a powerful agent for physical regeneration which fuels body cells with vital energy, reviving them.Farmec uses the clay from Pădurea Craiului Mountains, proved to have remineralizing, cicatrizing and soothing action, with a remarkable anti-toxic and absorbing power that constitutes a natural filter against UV radiations. Aslavital line of products offered a complete care program for sensitive skin recommended both to young and mature complexions. The main ingredients where: clay, rice natural oil, vitamins, extracts of marigold and ginseng. Facial care products included a cleansing lotion, a mineralizing toner, two face moisturizers (one anti-wrinkle and one hydrating), an eye contour cream and a detoxifying mask. Your body could enjoy the benefits of four products: a hydro-balm lotion for hands and body, an anti-cellulitis cream, an anti-stretch mark body lotion and a hand and nails cream. 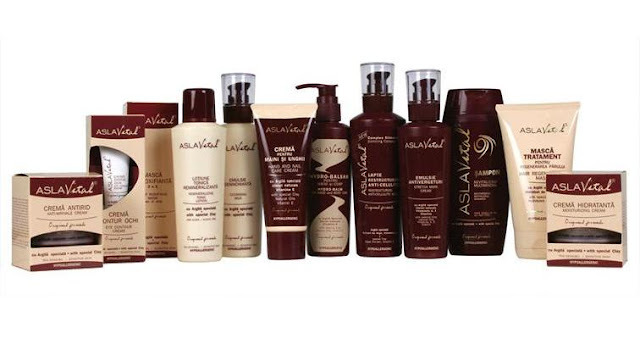 A multi-mineral revitalizing shampoo and a hair treatment mask completed the range. 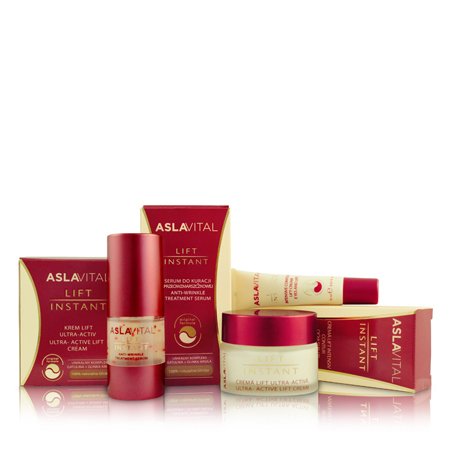 Aslavital Lift Instant line is the first line of cosmetics containing the extract of Gatuline and Clay Complex, with instant wrinkle soothing effects. Instant Lift with no scalpel! – was the basic concept of the line that features 3 essential face care products: an Intensive Contour Lift Cream Eyesand Lips, an Ultra-Active Lift Cream and an Anti-Wrinkle Treatment Serum. 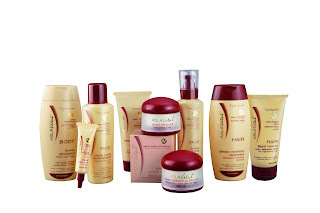 The line was re-branded in 2013 in terms of packaging and new innovative ingredients were added to its formula. Goji Berry, one the most powerful anti-age nutrient in the world has been incorporated to the formula of the new Aslavital Mieralactiv line, launched in 2012, replacing the classic Aslavital line. Products of the range are hypo-allergenic, parabens and colorants free and address both young (age 25+) and mature (age 45+) complexions. 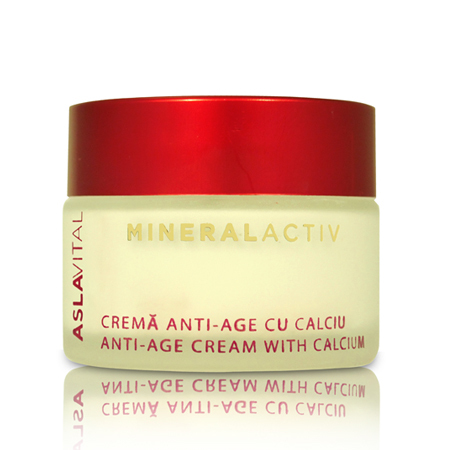 Launched in 2013, the Aslavital Mineralactiv Collagen Ampules work at the cellular level to increase the levels your body naturally produces the collagen, helping skin regain moisture, elasticity, reducing wrinkles and pigmentation.